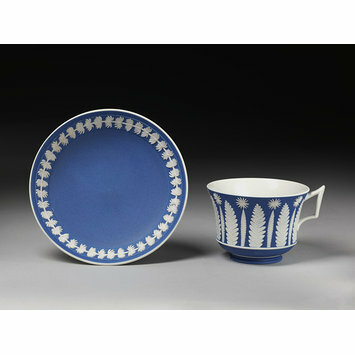 Cup and saucer of blue jasper dip ware, with white relief decoration; the pattern is known as 'Dr. Darwin's pattern.' 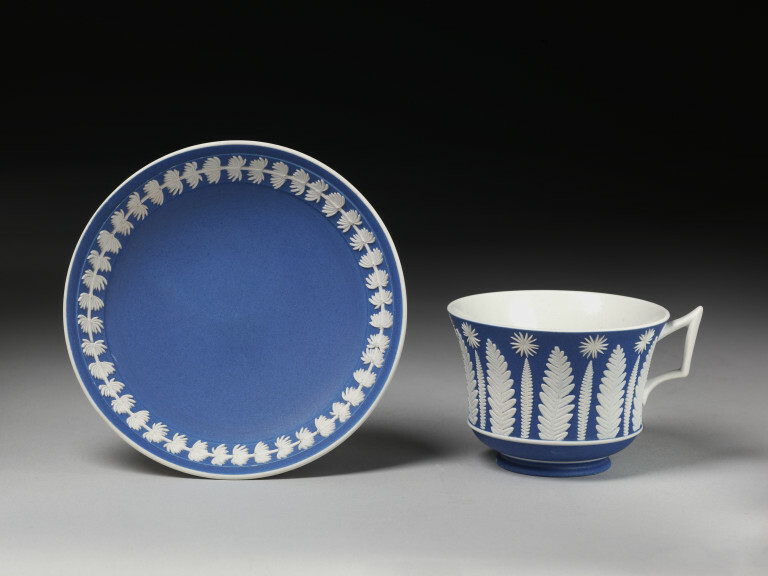 The cup is decorated with a row of vertical fern-fronds, small and large alternately, and whorls of mare's-tail; round the rim of the saucer is a stem of the same plant. Given by Rev. G. J. Chester to the Museum of Practical Geology.